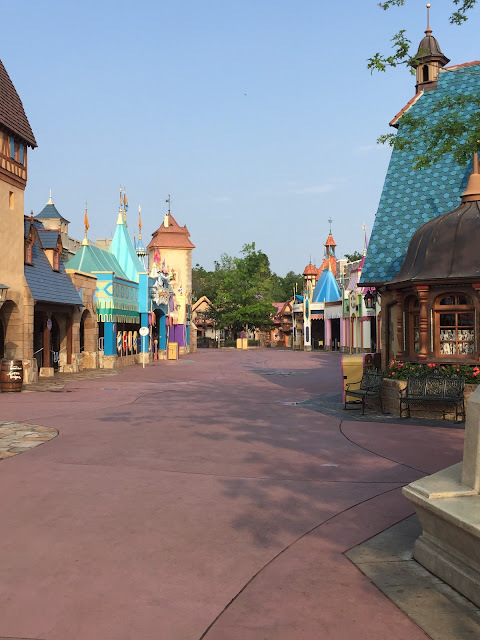 Here is another rare view of a very empty Magic Kingdom. 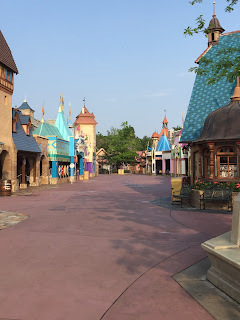 I came out of the Be Our Guest restaurant with my guests this morning, and the park hadn't opened yet. So, I snapped this shot of the area between Peter Pan's Flight and Small World. This is one of the most congested areas of the park, throughout most of the day.